Draft: 2008, Washington Nationals, 10th rd. Tomaso Anthony Milone…resides in Santa Clarita, CA, with wife, Tina, and daughter, Mia…graduated from Saugus (CA) High School in 2005…played at USC for three seasons (2006-08)…pitched for Chatham in the Cape Cod League, where he received the 2007 BFC Whitehouse Award as the league's top pitcher. Non-roster invitee to Nationals Spring Training…assigned to Triple-A Syracuse out of camp, where he was 7-4, 4.19 (51 ER, 109.2 IP) in 20 starts…selected by the Nationals on July 26…made 5 appearances (4 starts) with the Nationals, going 1-1, 5.81 (17 ER, 26.1 IP) with 23 strikeouts and 1 walk…on 10-day DL, Aug. 21-Sept. 3, with left shoulder soreness…reinstated from the DL and outrighted to Syracuse on Sept. 3. Began the season with Milwaukee before joining the New York Mets on May 7... Made three starts for the Mets before he was placed on the 15-Day disabled List with a sprained left knee in May...Was activated from the DL on Aug. 19...Made two more starts with the Mets before transitioning into the bullpen...Earned his first save since 2015 on April 25 vs. Cincinnati by working the final 3.0 innings. Went 3-5 with a 5.71 ERA in 19 games (12 starts) with Minnesota...Was 3-4 with a 5.46 ERA as a starter (59.1ip, 36er) and 0-1 with a 7.20 ERA in relief (10ip, 8er)...The Twins went 5-7 in his starts...Produced 2 quality starts...Went 4-0 with a 1.66 ERA in 7 starts at Triple-A Rochester from 5/10-6/14...Was on the 15-day disabled list from 8/12-9/8 with left biceps tendinitis...Signed as a free agent with Milwaukee on 12/14. Began season on Twins Opening Day roster as club's fourth starter....Went 2-1, 4.76 ERA (22.2 IP, 12 ER) in four starts before being optioned to Triple-A Rochester May 1 as Ricky Nolasco returned from the disabled list....Began Rochester season with 31.2 scoreless inning streak....Named International League Pitcher of the Week May 19, after pitching 8.0 shutout innings, allowing three hits, no walks and 12 strikeouts in a start against Toledo....Named the International League Pitcher of the Week for the second straight week May 26, making two starts, going 2-0, 0.52 ERA (17.1 IP, 1 ER) with no walks and 21 strikeouts...became the first Red Wings pitcher to earn the honor two straight weeks since Doug Linton in 1999....Went 4-0, 0.70 ERA (38.2 IP, 3 ER) with three walks and 47 strikeouts in five games for the Red Wings and was recalled June 4 as Nolasco was placed on disabled list....Went 3-0, 1.41 ERA (32.0 IP, 5 ER) with nine walks and 24 strikeouts for the Twins in a five-start stretch from June 17-July 8...all five starts were quality starts while he allowed more than two runs just once in those five....Appeared in 100th career major league game in a start July 31 vs. Seattle....Placed on 15-day disabled list August 3 with a mild left elbow strain; missed 14 games and was reinstated August 16....Recorded first career save (103rd career game) August 23 at Baltimore, pitching 1.0 scoreless inning in the bottom of the 12th in a Twins 4-3 win...was fourth career relief appearance....Made 100th career start August 27 at Tampa Bay....Held left-handed hitters to a .218 (26-for-119) batting average and right-handed hitters to a .273 (102-for-374) average....Ranked third on club in wins (9) and fourth in starts (23), innings pitched (128.2) and strikeouts (91). Began season on Oakland Opening Day roster...Was skipped first time through A's rotation and made first start April 11 at Seattle...Pitched 8.0 shutout innings May 9 vs. Washington, allowing two hits and tying season-high with seven strikeouts; earned the win, snapping his three-game losing streak...the win also began a six-game winning streak...Went 3-1, 2.97 ERA (36.1 IP, 12 ER) with 11 walks and 28 strikeouts in six May starts...Went 6-0, 2.62 ERA (68.2 IP, 20 ER) with a .232 (60-for-259) batting average against in his final 11 starts with Oakland...Optioned to Triple-A Sacramento July 5 when the A's traded for starting pitchers Jeff Samardzija and Jason Hammel from Chicago-NL...At time of demotion, his six-game winning streak was a career-high and an A's season-high...it also matched the longest streak in the American League for the season and the longest active streak in the majors...Made four starts for the River Cats, going 1-1, 6.43 ERA (21.0 IP, 15 ER)...Acquired by Minnesota July 31 from Oakland in exchange for outfielder Sam Fuld...optioned directly to Triple-A Rochester...Made four starts for the Red Wings and was recalled when the Twins traded Kevin Correia to Los Angeles-NL August 11...Made Twins debut August 11 at Houston, allowing two runs on eight hits in 6.0 innings pitched with three walks and five strikeouts (ND)...Missed time in September with a tired left shoulder, followed by inflammation in neck...Made only relief appearance of season, and fourth of career, September 27 at Detroit, tossing 1.0 scoreless inning. Spent the first four months of the season in the starting rotation but split the final two months of the year between the bullpen, rotation and minor leagues … was 12-9 with a 4.14 ERA in 28 games, 26 starts… had a .258 opponents batting average and .301 on-base percentage, which were the lowest marks of his career … had career highs in ERA (4.14), walks (39) and home runs (25) and matched his high in extra base hits (59)…his opponents batting average included a .247 (121-for-489) mark against right-handed hitters compared to .298 (39-for-131) against left-handers … surrendered 21 of his 25 home runs to righties, which tied for fourth most in the American League…18 of the home runs were solo shots and 14 came in the first two innings of a game…was 12-9 with a 4.17 ERA and .261 opponents batting average in his 26 starts, 0-0 with a 3.00 ERA and .100 opponents average in his two relief appearances…did not inherit a runner in his two relief appearances and retired both of his first batters faced…allowed a .216 batting average with runners in scoring position, which ranked eighth in the AL…was 5-4 with a 3.44 ERA in 12 games at home compared to 7-5 with a 4.69 ERA in 16 games on the road…in two seasons with the A's, he is 12-8 with a 3.02 ERA (56 er in 166.2 ip) in 27 games in Oakland compared to 13-11 with a 4.76 ERA (95 er in 179.2 ip) in 32 games on the road…went 8-8 with a 4.24 ERA before the All-Star Break, 4-1 with a 3.86 ERA after the break…is now 16-14 before the break compared to 10-5 after the break … compiled a 3-1 record and a 1.98 ERA in eight games against AL Central teams…is now 9-2 with a 1.97 ERA (22 er in 100.2 ip) in 17 career appearances against the Central … was 3-1 despite a 5.68 ERA in five interleague starts…is now 4-1 with a 6.02 ERA (29 er in 43.1 ip) in eight interleague starts in his career … opponents batted .299 with a .541 slugging percentage when leading off an inning…has allowed a .315 batting average and .556 slugging percentage in that situation in his career … opponents reached base on an error 11 times with him pitching, which was the most in the AL and tied for second most in the majors…that led to 11 unearned runs, which tied for second most in the AL…opponents have now reached base via error 22 times over the last two years, which is second most in the majors (Jordan Lyles, 23) … received just 10 runs of support in his nine losses (1.78 RSA) … has received just 22 runs of support in his 19 losses in two seasons with the A's (109.0 ip, 1.82 RSA)…has received no support nine times over the last two years as a starter and one run of support eight times…went 11-1 with three runs of support or more in 2013 and is 20-3 in his career…the A's were 16-10 (.615) in his 26 starting assignments and are 36-21 (.632) in his career…his teams are 41-21 (.661) in his 62 career starts. OAKLAND: Won each of his first three starts to become the first pitcher on an A's Opening Day roster to win each of his first three starts since Dave Stewart had six wins in his first six starts in 1990…that extended his winning streak to five games dating back to 2012…had never won more than two consecutive games in his career…posted a 3.86 ERA and .260 opponents batting average in his first three starts … then lost each of his next five starts from April 21 to May 12, which was the longest losing streak of his career … had a 3.62 ERA and .254 opponents batting average during the streak…received just four runs of support in the five starts (1.11 RSA) and the A's were shut out twice…matched his career-high with 10 strikeouts and did not walk a batter May 1 against Los Angeles (AL) … has three career 10-strikeout games and has not walked a batter in any of those contests…is the third A's pitcher since 1916 with three career games of 10 or more strikeouts and no walks (Catfish Hunter, Vida Blue) … however, took the loss as he allowed a career-high tying three home runs…snapped his five-game losing streak May 18 against Kansas City to begin a three-game winning streak through June 3…posted a 4.32 ERA over that four-start stretch…surrendered a home run in eight consecutive starts from May 24 to June 30 (12 home runs total)…went 2-for-4 with two runs and a RBI in a 10-2 win June 3 at Milwaukee…is one of two A's pitchers with two hits in a game since the start of interleague play (Edgar Gonzalez, June 19, 2009 at San Diego)…is also one of two A's pitchers to score two runs in an interleague game (Mark Mulder, July 4, 2004 at San Francisco)…is the first A's pitcher with at least two hits and a RBI since Blue Moon Odom went 2 for 2 with a RBI Aug. 22, 1972 at Detroit…tossed a career-high 118 pitches in a no decision in the A's 4-1 loss at Chicago (AL) June 8…that ran his record to 6-5 with a 3.69 ERA and .249 opponents batting average over his first 13 starts…then went 3-4 with a 5.54 ERA and .286 opponents batting average over his next nine starts before being optioned to Triple-A Sacramento Aug. 3 … issued a career-high tying four walks June 25 against Cincinnati (matched July 27 vs. Los Angeles-AL) … matched his career-high by allowing three home runs June 30 against St. Louis…lasted just 2.2 innings in a 5-0 loss at Pittsburgh July 10…it was the shortest start of his career…allowed a season-high tying six runs on a season-high nine hits in 3.2 innings Aug. 2 against Texas…was 9-9 with a 4.39 ERA in 22 starts when he was optioned to Triple-A Sacramento Aug. 3…made two starts with the River Cats and had no decisions, a 1.74 ERA and .348 opponents batting average (10.1 ip, 16 h, 5 r, 2 er, 1 bb, 15 so) before returning to Oakland Aug. 18…tossed a rain-shortened five-inning complete game in his second start Aug. 27 at Detroit, a 6-3 Oakland win that was called with the A's batting in the top of the sixth … allowed three hits, three walks and struck out three…it matched the shortest complete game in Oakland history (fourth time, last: Steve Ontiveros, May 16, 1995 vs. Chicago-AL)…was 1-0 with a 2.79 ERA in two starts before he was optioned to Single-A Stockton Aug. 28 … returned to Oakland Sept. 3 after Stockton's season ended and went 2-0 with a 2.70 ERA in four games, including two starts … finished the season with a three-game winning streak over his final six games beginning Aug. 18, logging a 2.74 ERA and .228 opponents batting average…began his career with 60 consecutive starts before making the first relief appearance of his career Sept. 11 at Minnesota (1.0 ip, 1 h, 1 r, 1 er, 2 so)… made an emergency start Sept. 15 at Texas, replacing an ill Jarrod Parker, and allowed one run in 5.0 innings for the win…tossed 2.0 perfect innings of relief against Minnesota Sept. 20 and then started and won three days later at Los Angeles (AL)…both of his September starts came on three days rest or fewer…the last A's pitcher to make two such starts in a season was John Halama in 2003…was not on the A's ALDS roster against Detroit. Was one of four players acquired from Washington in the Gio Gonzalez trade during the offseason and went 13-10 with a 3.74 ERA in a team-leading 31 starts...also led the A's in innings pitched (190.0), had the only complete game and tied for the team-lead in wins...fellow rookie Jarrod Parker also won 13 games, both setting an Oakland record for wins by a rookie...the previous mark of 12 was held by Chris Codiroli (1983) and Joe Blanton (2005)...had the most wins by an Athletics rookie since Harry Byrd won 15 games for the 1952 Philadelphia A's en route to Rookie of the Year honors...the A's became the first team since the 1952 Brooklyn Dodgers to have two rookies win 13 or more games (Joe Black 15, Billy Loes 13)...it was the second time in Oakland history the A's had two rookie 10-game winners...the other time was in 2009 (Anderson 11, Cahill 10)...with Parker making 29 starts, this was the third time in Oakland history the A's had two rookies with 20 or more starts (Keough and Johnson in 1978; Anderson and Cahill in 2009)...struck out 137, which was the fourth best rookie total in Oakland history and the sixth best in Athletics history...also tied for the fifth most games started by an Oakland rookie (31) and was sixth in innings pitched (190.0)...surrendered 24 home runs, which tied for second most...tied for the lead among Major League rookies in complete games...tied for second among American League rookies in wins and games started, ranked third in innings pitched and was fifth in strikeouts...his ERA ranked third among AL rookies with 130 or more innings...walked just 36 batters in 190.0 innings, an average of 1.71 per nine innings...that was the second lowest mark in the AL and sixth lowest in the majors...it was the fifth lowest mark in Oakland history...had a strikeout to walk ratio of 3.81, which ranked seventh in the AL...it was the fourth best mark in Athletics history...tied for third in the AL with six pickoffs...opponents were 8-for-18 (44.4%) in stolen base attempts, which was the second lowest mark in the AL...allowed a team-leading 207 hits, which were ninth most in the AL...his 31 games started were the fewest by an A's team leader since Steve Karsay led Oakland with 24 starts in 1997...went 7-4 with a 2.74 ERA and .240 opponents batting average in 15 starts at home compared to 6-6 with a 4.83 ERA and .316 opponents batting average in 16 starts on the road...had the eighth lowest home ERA in the AL and the ninth highest road ERA...allowed 18 of his 24 home runs on the road, which was fourth most in the AL...received just 12 runs of support in his 10 losses (58.1 ip, 1.85 RSA)...received no run support six times and one run four times...had two wins where he received just one run of support...his opponents batting average included a .263 (51-for-194) mark against left-handed hitters compared to .283 (156-for-551) against right-handers...walked 15 of the 214 lefties he faced (one per 14.2 plate appearances) compared to 21 of the 577 right-handers (one per 27.5 plate appearances...his lowest ERA in a month was 3.55 in July, his highest was 3.96 in August...was 6-1 with a 1.96 ERA in nine starts against AL Central teams, 7-9 with a 4.56 ERA in 22 starts against everyone else...was 10-5 with a 3.14 ERA and .257 opponents batting average in 21 starts at night, 3-5 with a 5.12 ERA and .322 opponents batting average in 10 starts during the day...ranked eighth in the AL in night ERA and tied for 10th in wins...issued 12 of his 36 walks in the first inning of a game...allowed a .319 batting average to hitters leading off an inning...yielded 10 of his 24 home run in that situation...opponents are batting .327 (68-for-208) against him to lead off an inning in his career...yielded a .462 (6-for-13) batting average and two home runs with the bases loaded...the two grand slams tied for second most in the AL and the batting average was fourth highest...the A's were 20-11 (.645) in his starting assignments and his teams are 25-11 (.694) in his career...tossed at least six innings in 21 of his 31 starts, allowed two runs or fewer 18 times and walked two batters or fewer 27 times...including nine games with no walks and 14 with one. Spent the entire season at Triple-A Syracuse before being called up by Washington in September tomake his Major League debut...went 1-0 with a 3.81 ERA in five starts for the Nationals...walked justfour batters in 26.0 innings (1.38 per nine innings)...allowed a .283 opponents batting average, whichincluded a .281 (25 for 89) mark against right-handed hitters compared to .300 (3 for 10) against lefthanders...held the opposition to a .208 average with runners in scoring position...yielded a .385 battingaverage and .429 on-base percentage to batters leading off an inning...opponents hit .175 the first timethrough the lineup, .293 the second time through and .500 after that...the Nationals won all five of hisstarting assignments...was selected from Syracuse Sept. 3 and made his Major League debut with a startthat day against New York (NL)...allowed four runs on six hits in 4.1 innings (0 bb, 2 so) and had a nodecision in the Nationals 8-7 win...fanned Angel Pagan with one out in the second inning for his firststrikeout...hit a three-run home run off Dillon Gee on the first pitch of his first big league at bat in thesecond inning...earned his first ML win in his third start Sept. 15 at New York (NL), a 10-1 victory (5.2ip, 3 h, 1 r, 1 er, 3 bb, 4 so)...tossed a season-high 6.0 shutout innings in his fourth start, a no decisionin a 4-3, 10-inning win at Philadelphia Sept. 20...was rated as the A's third-best prospect by BaseballAmerica following the trade. SYRACUSE: Was 12-6 with a 3.22 ERA in 24 starts in his Triple-A debut with Syracuse...was namedto the Baseball America Triple-A All-Star team...ranked second in the International League in strikeouts(155), tied for third in wins and was sixth in ERA...averaged 0.97 walks per nine innings, which wasthe lowest among IL starters...also ranked second in strikeouts per nine innings (9.40) and fourth inopponents batting average (.241)...walked just 16 for a strikeout-to-walk ratio of 9.69...led the Chiefsin wins, innings pitched (148.1) and strikeouts and tied for the team lead in games started...matched hisminor league bests in wins and strikeouts...was 4-5 with a 3.81 ERA over his first 12 starts through June17...then went 8-1 with a 2.60 ERA over his final 12 starts...his opponents batting average includeda .230 (28 for 122) mark against left-handed hitters compared to .244 (109 for 446) against righthanders...allowed a .216 average to batters leading off an inning...opponents hit .209 with runnersin scoring position and two outs...allowed just three first inning runs for a 0.75 ERA...was 9 for 26(.346) with a double and three RBI as a hitter...that included 0 for 2 with two sacrifices in four pinchhitting appearances...Syracuse was 16-8 (.667) in his starting assignments...tossed six or more inningsin 17 of his 24 starts, allowed two runs or fewer 14 times and walked one batter or fewer 20 times...combined on a six-hit shutout in his Triple-A debut, a 2-0 win at Lehigh Valley April 10...tossed seveninnings and allowed five of the hits without walking a batter...lost each of his next three starts, including April 28 against Toledo when he allowed a season-high seven runs on a season-high 10 hits in 3.2innings...struck out a season-high 11 May 5 at Durham...allowed just one run in 7.0 innings but had ano decision in a 4-3 loss as the bullpen allowed two runs in the eighth and one in the ninth...walked justtwo batters over a 10-start stretch from May 10 to July 2 (67.1 ip)...went 2-0 with a 2.54 ERA in fourstarts in May...tossed a season-high 8.0 shutout innings in an 11-2 win at Rochester June 27...allowedjust one run in 6.1 innings in his next start at Buffalo July 2...earned IL Pitcher of the Week honors forthe week of June 27 to July 3 (1-0, 0.63 ERA, 14.1 ip, 8 h, 1 r, 1 er, 0 bb, 12 so)...was named to the ILMidseason All-Star team...pitched a scoreless sixth inning against the Pacific Coast League All-Starsin the Triple-A All-Star Game July 13 at Salt Lake (1 h, 1 so)...allowed one run in 7.1 innings and went3 for 3 at the plate in an 8-4 win over Lehigh Valley July 17...yielded five runs in a season-low 2.1innings July 28 against Colorado Springs...was placed on the disabled list the next day with a strainedleft quadriceps...was reinstated from the DL Aug. 8 and went 4-0 with a 1.72 ERA in August...struckout 10 batters in 6.2 innings against Gwinnett Aug. 19...was rated as having the Best Control and BestChangeup among Nationals prospects in Baseball America's Best Tools survey following the season. Went 12-5 with a 2.85 ERA in 27 starts with Double-A Harrisburg to earn Nationals' MinorLeague Pitcher of the Year honors...led the Eastern League in strikeouts (155), ranked second in ERA,tied for second in wins and fifth in innings pitched (158.0)...led EL starters with an average of 8.83strikeouts per nine innings and 1.31 walks per nine innings...had a strikeout to walk ratio of 6.74...talliedminor league career-highs in starts, innings pitched and strikeouts and matched his high in wins...also had the lowest ERA of his career...led the Senators in wins, starts, innings and strikeouts...alloweda .261 opponents batting average, which included a .237 mark against right-handed hitters comparedto .322 against left-handers...opponents hit .238 with runners in scoring position, including .188 withRISP and two outs...Harrisburg was 19-8 (.704) in his starting assignments...tossed six or more inningsin 16 of his 27 starts, allowed two runs or fewer 17 times and walked one batter or fewer 22 times...wasnamed to the Eastern League Midseason All-Star Team...tossed 6.0 shutout innings and allowed justone hit in his first start at Altoona April 10 but had a no decision in a 1-0, 10-inning loss...did not walka batter in four consecutive starts from May 1 to 16 (23.2 ip)...tossed his first career complete game ina 3-2 win at Altoona May 11, a rain-shortened five-inning contest (3 h, 2 r, 2 er, 1 so)...tossed a seasonhigh7.1 innings May 16 against New Britain...was 5-1 with a 3.41 ERA over his first 11 starts throughJune 1...then went 1-4 with a 3.02 ERA over his next eight starts through July 19...finished the seasonby going 6-0 with a 2.29 ERA over his final nine starts...walked just four batters in 59.0 innings overthat span, including another four-start stretch without a walk (July 30-Aug. 18, 27.0 ip)...struck out 12batters in a 7-1 win at Binghamton Aug. 5...then fanned a season-high 13 two starts later against ErieAug. 18...fired a seven-inning complete game in his final start of the regular season, a 9-1 victory atBinghamton Sept. 3 (7 h, 1 bb, 9 so)...made one postseason start and picked up the Senators only win ina 10-5 decision over Altoona Sept. 8 (5.2 ip, 4 h, 3 r, 2 er, 2 bb, 7 so, 1 hr)...was rated as having the BestControl among Washington farmhands according to Baseball America following the season. Spent the entire season with Single-A Potomac, posting a 12-5 record and a 2.91 ERA in 27games, 25 starts...led the Carolina League in wins, ranked second in innings pitched (151.1) and thirdin ERA...averaged 2.08 walks per nine innings as a starter, which was fifth best in the CL...had minorleague career highs in wins and games pitched...tied for the lead among Nationals farmhands in wins...allowed a .257 opponents batting average, which included a .244 mark by left-handed hitters and .262by right-handers...surrendered eight of his nine home runs to righties...yielded a .207 average to battersleading off an inning...did not commit an error and led CL pitchers in total chances (46) and assists(38)...Potomac was 17-8 (.680) in his starting assignments...allowed one run or fewer in 12 of his 25starts and walked one batter or fewer 16 times...tossed a season-high 8.0 shutout innings in a 4-0 win atMyrtle Beach May 15...allowed just four hits and did not walk a batter while striking out seven...earnedCarolina League Pitcher of the Week honors for his effort (May 11-18)...struck out a season-high ninebatters in 7.0 innings July 1 at Winston-Salem...had a season-best six-game winning streak from July17 to Aug. 19...posted a 0.98 ERA over that seven-start stretch...compiled a 5-1 record and a 1.49 ERAin six starts in the month of August...matched his season-high by tossing 8.0 shutout innings in 7-0 winover Kinston Sept. 5. Combined for a 1-6 record and a 3.51 ERA in 13 games, 10 starts, in his professional debut withSingle-A Hagerstown and Rookie-level Vermont...walked just nine batters in 59.0 innings, an average of 1.37 per nine innings...struck out 49 for a strikeout to walk ratio of 5.44...allowed a .276 opponentsbatting average, including .273 against right-handed hitters compared to .286 against left-handers...surrendered a .210 average with runners in scoring position...began his season with Vermont, postinga 1-3 record and a 4.57 ERA in six games, three starts...made his professional debut in relief June 23against Tri-City, tossing 2.0 scoreless and hitless innings (1 bb, 4 so)...his first win came June 27 againstLowell when he tossed 3.0 scoreless innings of relief...was promoted to Hagerstown July 27 and went0-3 with a 2.89 ERA in seven starts. January 24, 2019 Seattle Mariners signed free agent LHP Tommy Milone to a minor league contract and invited him to spring training. 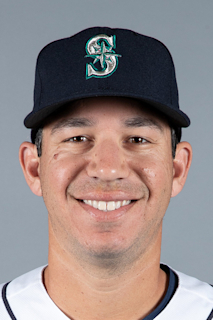 January 24, 2019 LHP Tommy Milone assigned to Tacoma Rainiers. November 20, 2018 Tigres del Licey placed LHP Tommy Milone on the reserve list. October 13, 2018 LHP Tommy Milone assigned to Tigres del Licey. October 2, 2018 LHP Tommy Milone elected free agency. September 3, 2018 Washington Nationals sent Tommy Milone outright to Syracuse Chiefs. September 1, 2018 Washington Nationals sent LHP Tommy Milone on a rehab assignment to Harrisburg Senators. July 26, 2018 Washington Nationals selected the contract of LHP Tommy Milone from Syracuse Chiefs. February 13, 2018 LHP Tommy Milone assigned to Syracuse Chiefs. December 16, 2017 Washington Nationals signed free agent LHP Tommy Milone to a minor league contract and invited him to spring training. October 26, 2017 LHP Tommy Milone elected free agency. August 19, 2017 New York Mets activated LHP Tommy Milone from the 60-day disabled list. July 30, 2017 New York Mets sent LHP Tommy Milone on a rehab assignment to Binghamton Rumble Ponies. July 26, 2017 New York Mets sent LHP Tommy Milone on a rehab assignment to GCL Mets. June 22, 2017 New York Mets transferred LHP Tommy Milone from the 10-day disabled list to the 60-day disabled list. Left knee sprain. May 24, 2017 New York Mets placed LHP Tommy Milone on the 10-day disabled list retroactive to May 22, 2017. Left knee sprain. May 8, 2017 New York Mets activated LHP Tommy Milone. May 7, 2017 New York Mets claimed LHP Tommy Milone off waivers from Milwaukee Brewers. May 1, 2017 Milwaukee Brewers designated LHP Tommy Milone for assignment. December 14, 2016 Milwaukee Brewers signed free agent LHP Tommy Milone. October 18, 2016 LHP Tommy Milone elected free agency. October 17, 2016 Minnesota Twins sent LHP Tommy Milone outright to Rochester Red Wings. September 9, 2016 Minnesota Twins activated LHP Tommy Milone from the 15-day disabled list. August 12, 2016 Minnesota Twins placed LHP Tommy Milone on the 15-day disabled list. Left biceps tendinitis. June 18, 2016 Minnesota Twins selected the contract of LHP Tommy Milone from Rochester Red Wings. May 7, 2016 Minnesota Twins sent LHP Tommy Milone outright to Rochester Red Wings. August 16, 2015 Minnesota Twins activated LHP Tommy Milone from the 15-day disabled list. August 2, 2015 Minnesota Twins placed LHP Tommy Milone on the 15-day disabled list retroactive to August 1, 2015. Mild left elbow strain. June 4, 2015 Minnesota Twins recalled LHP Tommy Milone from Rochester Red Wings. May 2, 2015 Minnesota Twins optioned LHP Tommy Milone to Rochester Red Wings. August 11, 2014 Minnesota Twins recalled LHP Tommy Milone from Rochester Red Wings. July 31, 2014 Minnesota Twins traded Sam Fuld to Oakland Athletics for LHP Tommy Milone. July 31, 2014 Minnesota Twins optioned LHP Tommy Milone to Rochester Red Wings. July 5, 2014 Oakland Athletics optioned LHP Tommy Milone to Sacramento River Cats. October 12, 2013 Tommy Milone roster status changed by Oakland Athletics. October 4, 2013 Oakland Athletics reassigned LHP Tommy Milone to the minor leagues. September 3, 2013 Oakland Athletics recalled LHP Tommy Milone from Sacramento River Cats. August 28, 2013 Oakland Athletics optioned Tommy Milone to Sacramento River Cats. August 17, 2013 Oakland Athletics recalled Tommy Milone from Sacramento River Cats. August 3, 2013 Oakland Athletics optioned Tommy Milone to Sacramento River Cats. March 27, 2012 Oakland Athletics placed Tommy Milone on the reserve list. December 23, 2011 Oakland Athletics traded LHP Gio Gonzalez and RHP Robert Gilliam to Washington Nationals for RHP A.J. Cole, RHP Brad Peacock, C Derek Norris and LHP Tommy Milone. September 3, 2011 Washington Nationals selected the contract of Tommy Milone from Syracuse Chiefs. August 8, 2011 Tommy Milone roster status changed by Syracuse Chiefs. August 1, 2011 Syracuse Chiefs placed LHP Tommy Milone on the 7-day disabled list. April 1, 2011 LHP Tommy Milone assigned to Syracuse Chiefs from Harrisburg Senators. April 4, 2010 Tommy Milone assigned to Harrisburg Senators from Potomac Nationals. June 13, 2008 Washington Nationals signed LHP Tommy Milone.